Student Health Services is excited to announce the recent arrival of two new physicians: Dr. David Milligan and Dr. Janine Donahue. Milligan, a board-certified pediatric physician, joined the Student Health Services staff in January. Most recently, Milligan worked at OSF St. Joseph Medical Center as a pediatrician, which included inpatient duties with newborns and children and attending deliveries. 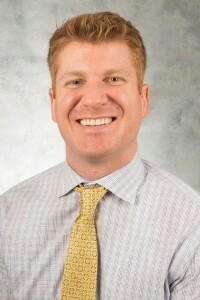 He also worked with the University of Illinois College of Medicine as an associate professor of clinical medicine, working with third-year medical students completing their pediatric clerkship. Milligan was born and raised in Bloomington-Normal. He attended Metcalf School and University High School; he was a part of the Illinois State University family early on. Milligan enjoys spending time with his two children, listening to music, playing his guitar, exercising, and cheering on Redbird Athletics. Dr. Janine Donahue began her position in early February and is a board-certified psychiatrist. Before coming to Student Health Services, Donahue had her own private practice for psychiatry as well as several years in a large practice. For nearly 10 plus years, she provided leadership for the student health clinic and counseling department at Bradley University. Donahue has a strong background in higher education, which includes 14 years of experience working with college-aged students. She has one child in college and one in high school. She enjoys gardening, crafting, and supporting her children’s sporting participation. One of her favorite shows is Downton Abbey.